I photographed this little boy's parents' wedding, their maternity photos, and plenty of family sessions since then! This one is a favorite from his little brother's newborn session in their home. He wasn't ready to give up the spotlight just yet. 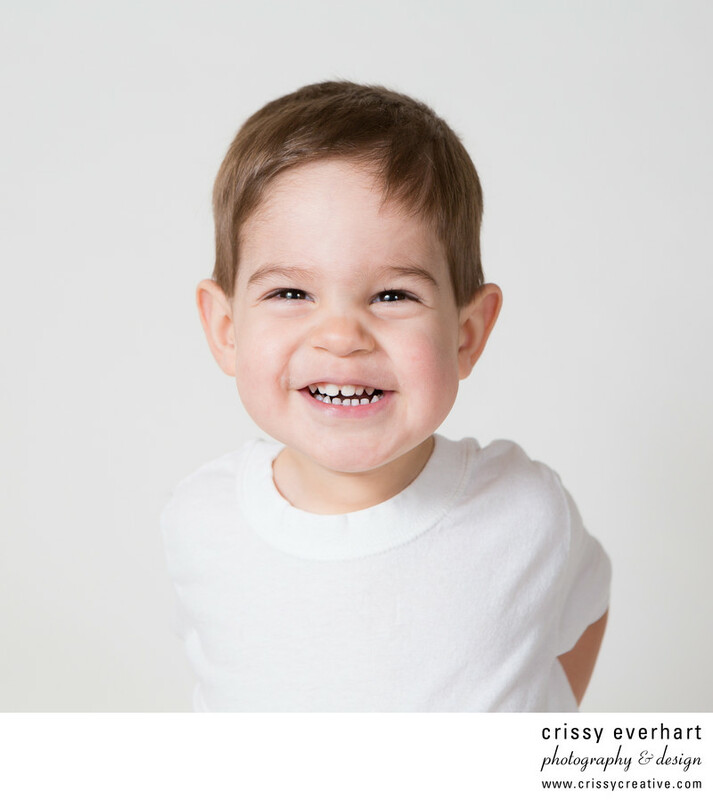 He is wearing a white undershirt and photographed on a white seamless backdrop to keep the focus on that adorable face.